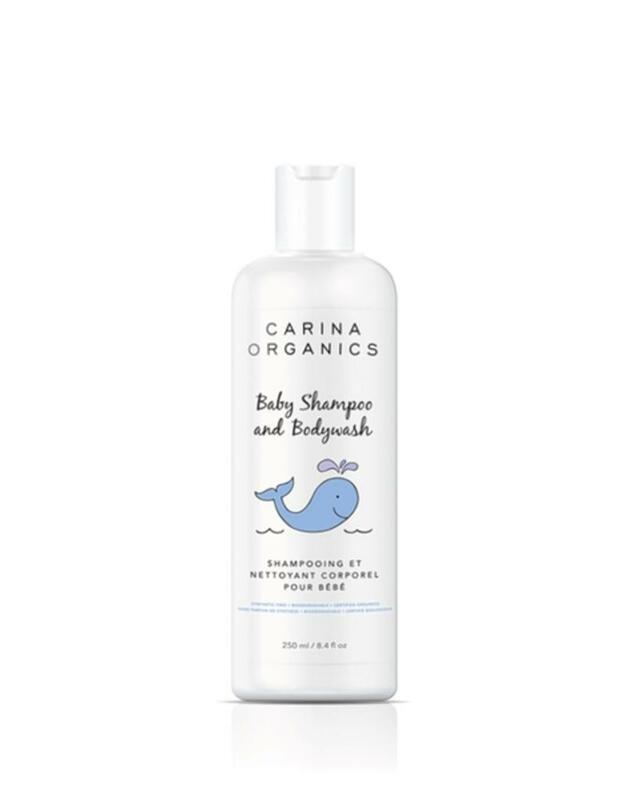 Our favourite extra gentle and tear free baby shampoo & body wash formulated with certified organic plant, vegetable, flower and tree extracts, and without a scent for those hypersensitive to organic essential oils. 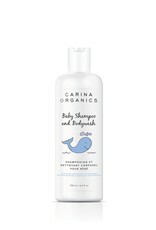 This formula is mild enough even for a newborn’s delicate scalp and lathers less, making it quick and easy to rinse out, leaving no irritating residue. Directions: Apply and lightly massage onto scalp and skin. Rinse thoroughly. Ingredients: Filtered Aqua, Cocos nucifera (coconut) oil, Elaeis guineensis (palm) oil, Glycerin, Pinus banksiana (pine) extract, Matricaria chamomilla (chamomile) flower extract, Urtica dioca (nettle) leaf extract, Taraxacum officinale (dandelion) leaf extract, Trifolium pratense (clover) flower extract Acetic Acid (Apple Cider Vinegar), Olea europaea (olive) fruit oil, Cucurbita pepo (pumpkin) seed oil.